We've already introduced the new Audi A4 will start marketing in November. We have advanced even what life aboard this Audi A4 C rivals Mercedes and BMW 3 Series, but also with more testimonials yet Lexus IS, Jaguar XE ... Now it's time for your first journey. We started with the Audi A4 2.0 TFSI 190 hp, 4.8-liter announcing average consumption. We started with clogged area where we realize the enormous work soundproofing that has been done in this new Audi A4. You do not hear anything, even at idle. still we travel in comfort mode and suspension is all down with barely Then you find out it will become drier and effective, when we demand, but never transmit vibrations to the inside. 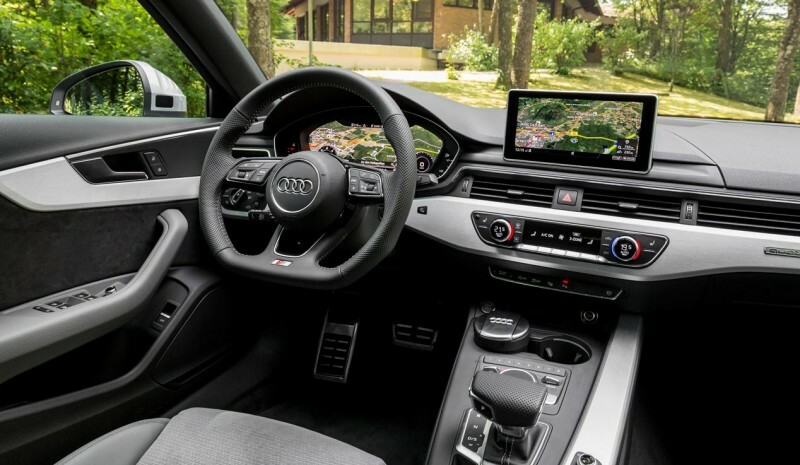 We see how goes into operation in the new Audi A4 Sailing mode 55 to 160km / h even if you only knowing about it because the reference to the gear engaged disappears and you carry only displayed on the dashboard of the Audi A4 2.0 TFSI when ever touch the accelerator pedal. But this 2.0 TFSI much more than an efficient tool. 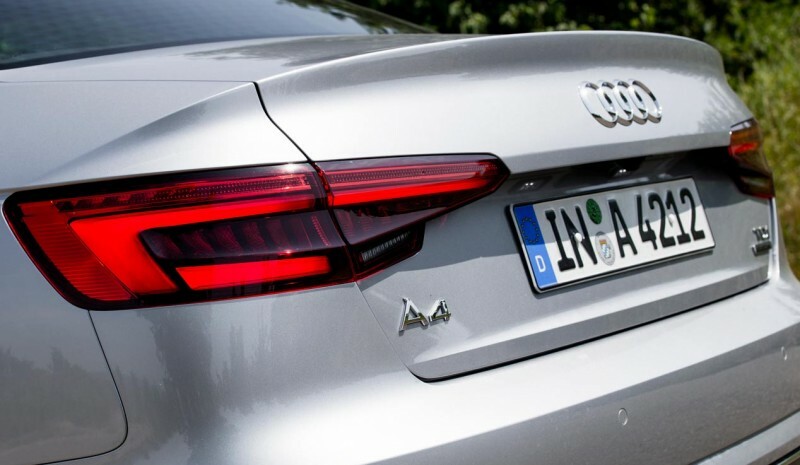 The head of Audi A4 engineering, Ulrich Widmann, explains that they were aware that the previous generation of comfort and dynamism were not sufficiently differentiated and have worked for the new Audi A4 has two completely different personalities. So Dynamic mode and to accelerate and brake prealpine stretches of mountain, to be the S tronic dual-clutch seven relationships that play with us or with us via the steering wheel paddles. No you can imagine how the car is transformed ... 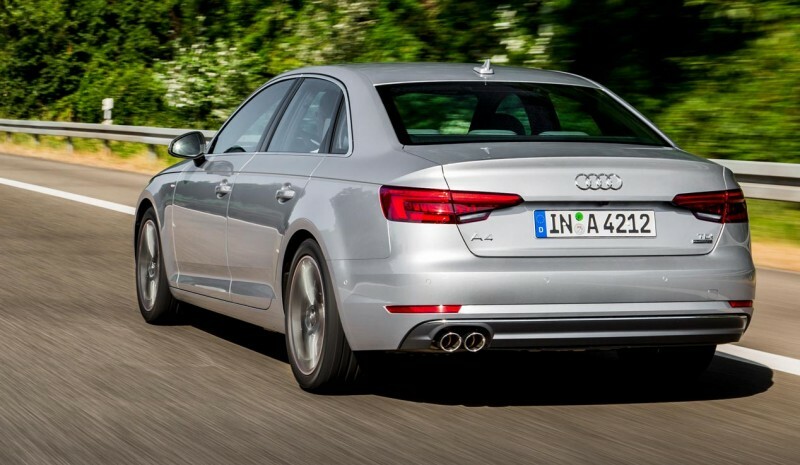 The new Audi A4 is catapulted to blow right pedal and brake with mordant. If you combine all this aid which will give the quattro system and its selective torque control torque vectoring, when going fast, brake slightly internal drive wheels on the curve to avoid deslizamiento-, the car will go always on rails, nobly, without losing his composure, into believing better driver than you are. Immaculate as the electromechanical steering throwing you where you ask him .... Of course well, and in this environment our consumption has skyrocketed for this Audi A4 TFSI up to 10.8 liters. 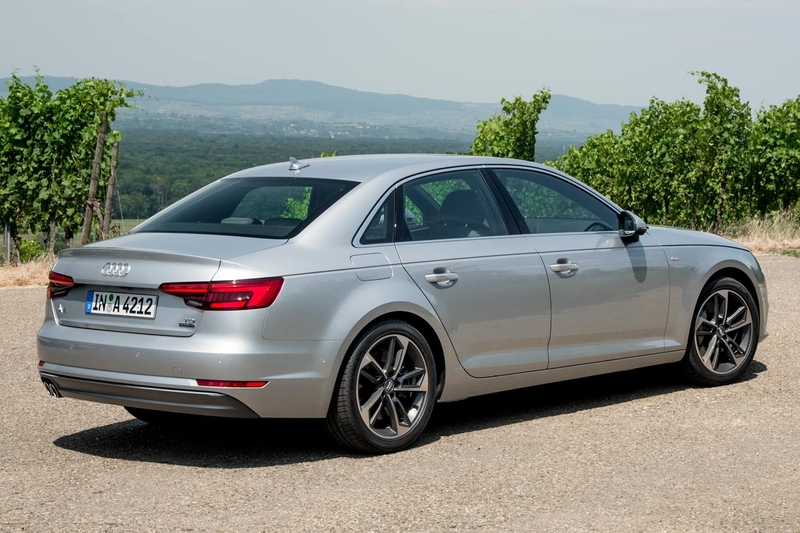 We continue now travel aboard most powerful engine in the 2015 Audi A4 range, the 3.0 TDI V6 and 272 hp. Perfect Cocktail smoothness and performance ends, we announce. Already Car pushes without jerking from 850 rpm. Pleasant this new Audi A4 as few in relaxed driving, impeccable as few when you demand, and as well announced us from far below. Twisty roads where the game second / third will be that now send via a tiptronic eight relationships with manual operation if we or via cams. 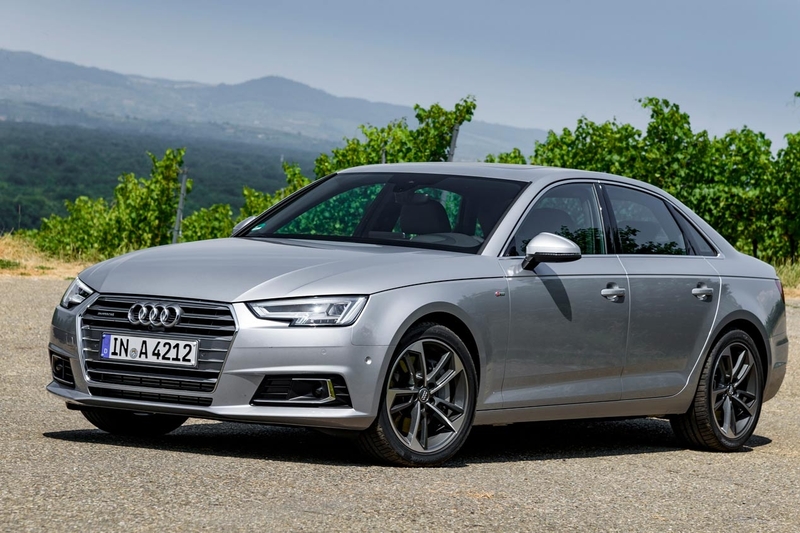 If we liked the behavior and well above the Audi A4 TFSI, the Audi A4 3.0 TDi V6 embroiders on thrust 'I gets two seconds 0-100 to stand at 5.3 seconds-. This TDI also have chance to ride on the highway without speed limit but there is a lot of traffic: a 165 km / h the V6 will require 2,000 rpm, while to reach 120 km / h the cuentavueltas is slightly above 1,500 rpm. Very stable straight and with good layout. We ended up with the most modest engine for the Audi A4, the 1.4 TFSI associated with the familiar body Avant 150 hp. In quiet driving this Audi A4 is the level of his brothers; driving half the level of his brothers ... but in Dynamic mode and when the road steepens and you demand similar rhythms costs, releases more noise inside We followed remembering that the sound quality is exceptional inner achieved in whole- ... 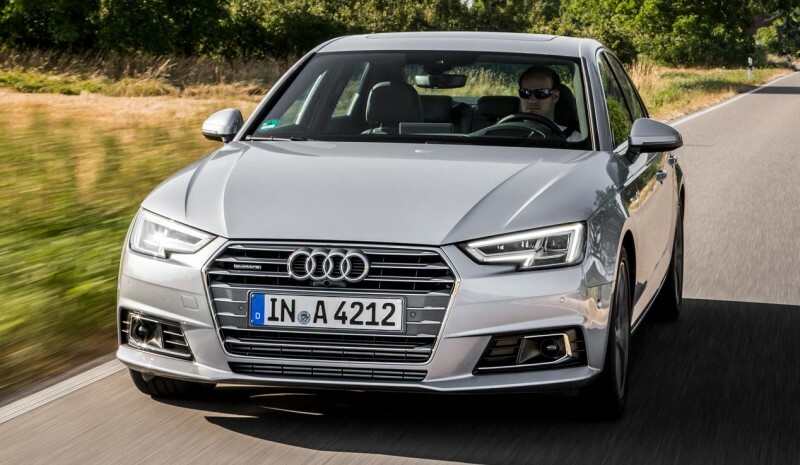 Although the consumption in the Audi Avant 1.4 TFSI has been cut 21 percent from the previous 1.8 TFSI, his older brother Audi A4 2.0 TFSI 190 spends a tenth less. Quality, active safety and passive one notch above its premium rivals, Mercedes C or BMW 3 Series. And it is that technological arsenal from just introduced his older brother Audi Q7 makes things much easier.